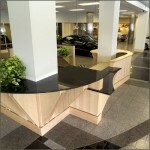 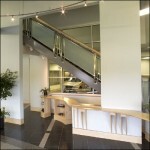 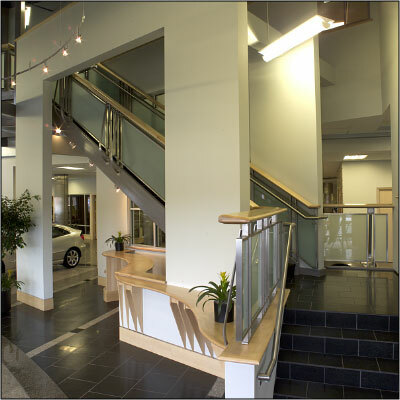 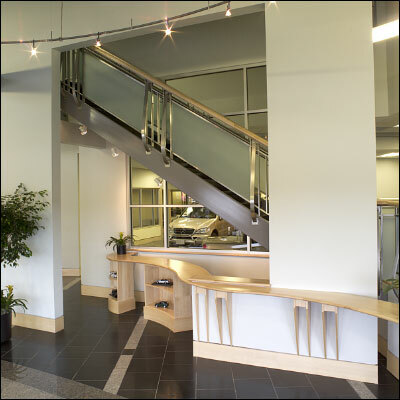 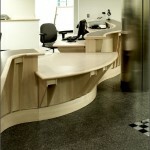 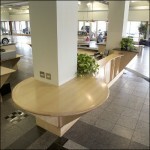 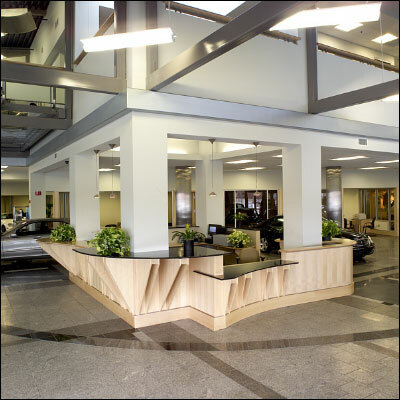 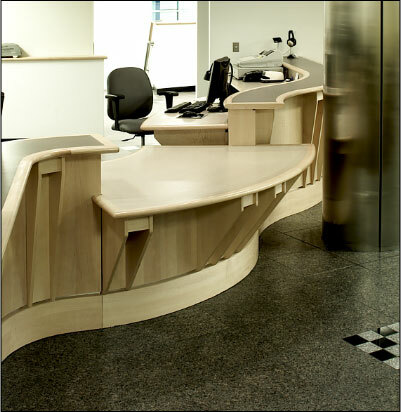 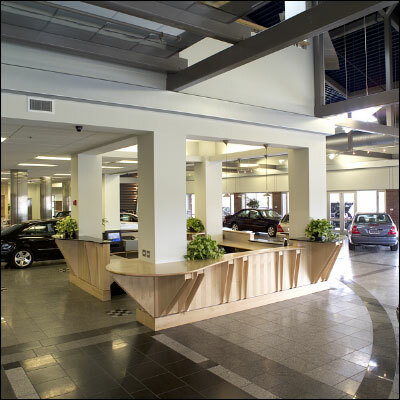 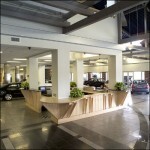 Clair Mercedes-Benz | Chamberlain Companies, Inc.
Project encompasses the fabrication and installation of architectural woodwork elements, including greet desk, work desks, display cabinetry, casework, counters, and standing/running trim. 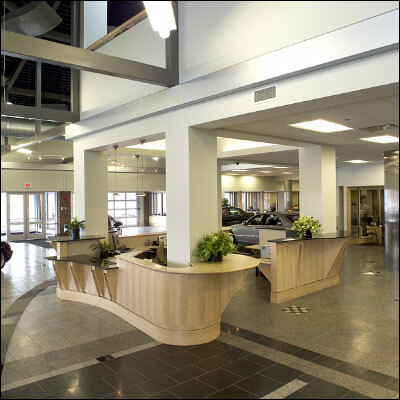 Features include serpentine shapes, quarter-sawn maple solids and veneers, granite and aluminum reveals, and extensive maple trim throughout. 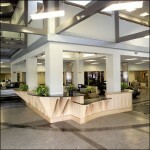 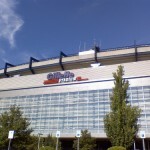 This project was featured in the Spring 2003 edition of AWI’s DesignSolutions.